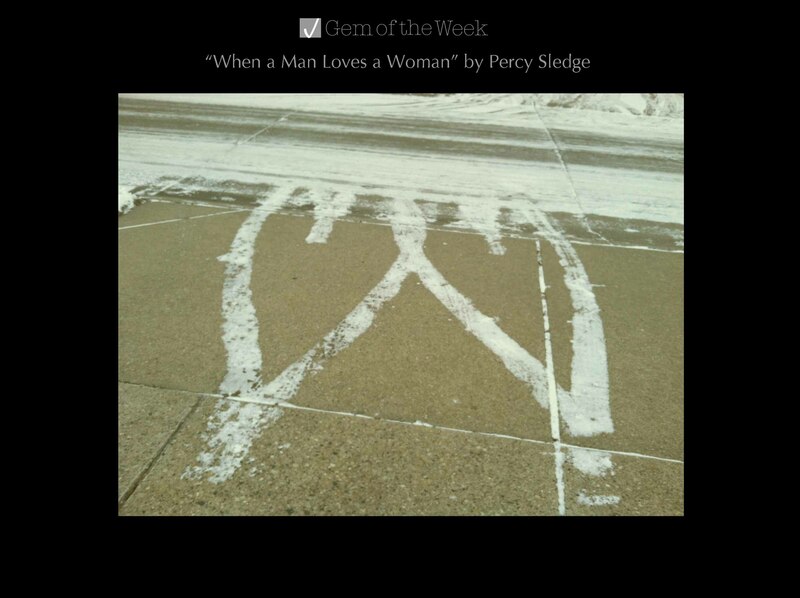 My gem this week goes to the 60s soul R&B hit “When a Man Loves a Woman” by Percy Sledge. I have a love for soul and this is a powerful song that I of course wanted to pay my tribute to after hearing the sad news that Sledge passed away yesterday from cancer at age 74. I have always been a fan of soulful voices like Otis Redding and Aretha Franklin but with “When a Man Loves a Woman” Sledge sings his heart out in that true soulful passion. You can’t help but feel the impact of this great song and it will surely continue to live on and be covered by other artists. Sledge also does an awesome cover of “Stand By Me” by Ben E. King which is one of my favorite versions. Below is the link for Sledge’s hit shared from Oldies in HD’s You Tube channel.